With completion of Segment II just around the corner, crews are working diligently on the remaining work to get three new lanes open each direction just in time for summer travel. As drivers may have noticed, noise barrier installation is complete, landscaping is being installed, and final punch list work is being completed on the bridges. Traffic was shifted to allow for profile milling, and crews have also started paving the final surface layer that will be ultimately be placed across all lanes to create a smooth riding surface throughout the corridor. Starting this week, day and nighttime closures will be taking place to finish the project; however, traffic will begin using a third travel lane, allowing for at least two travel lanes to be maintained (one in each direction) during the closures. The third lane in the eastbound direction opened Monday, April 8, and will open in the westbound direction as early as Wednesday, April 10. The Segment II Project is estimated to be complete late spring, early summer 2019. 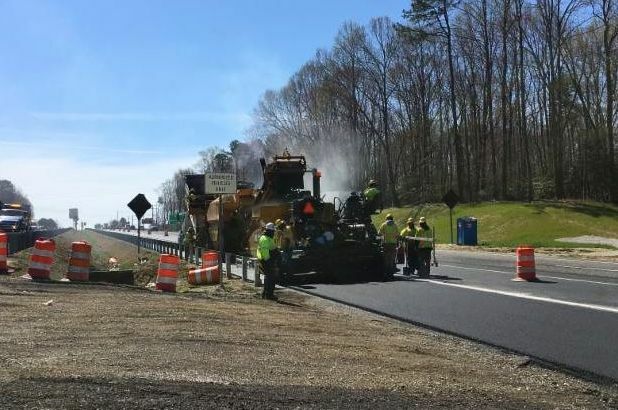 Motorists traveling along I-64 between Route 199 Lightfoot (exit 234) and Humelsine Parkway (exit 242) will see increased construction activity in the median and at the bridges along the Segment III corridor. Traffic shifts to the outside lanes have been completed in both directions on I-64, and crews have started clearing and grubbing the median and performing earth-moving operations for pavement widening. 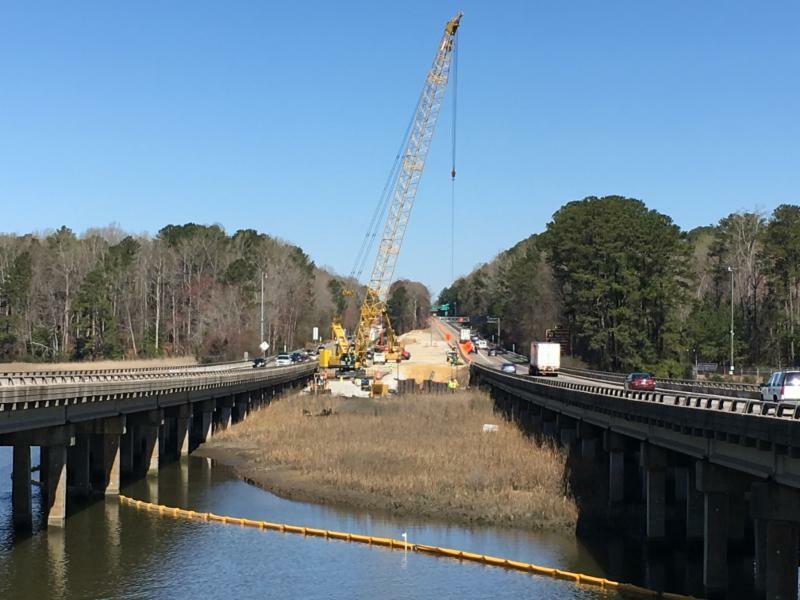 Installation and maintenance of environmental measures remain a top priority for the project, including the recent construction of a sediment trap in the median east of Colonial Parkway with two more underway between Queens Creek and Colonial Parkway once clearing and grubbing is complete. 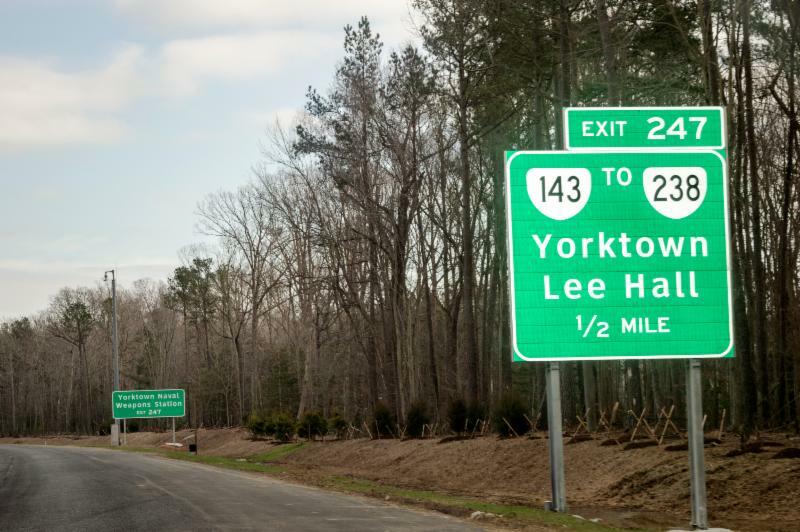 Prep work is underway to provide construction access from the I-64 median to the Lakeshead Drive and Colonial Parkway bridges. 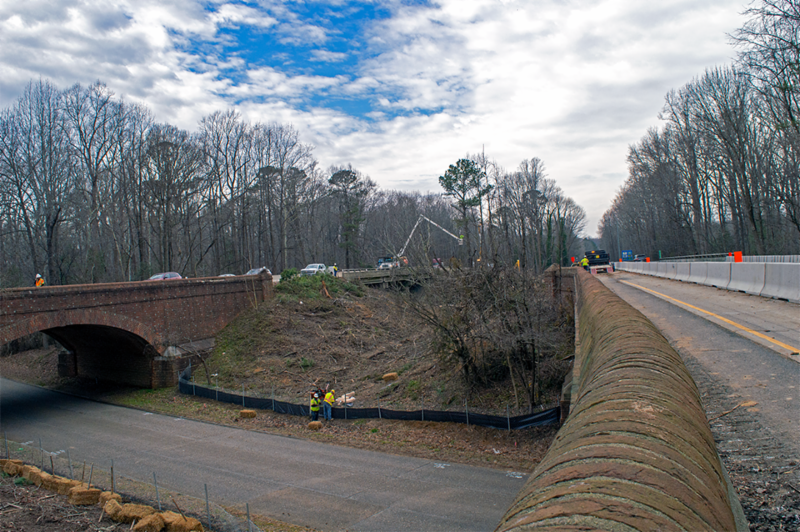 For Queens Creek bridge access, crews have begun construction of a "causeway," made up of layers of geo-textile fabric and stone aggregate, built over the existing marshlands in the center median, and a temporary trestle bridge will be used to provide access over the water. In mid-April, daytime pile driving operations are scheduled to begin at the Queens Creek and the Lakeshead Drive bridges. Eastbound and westbound traffic shifts placing traffic in right and center travel lanes. Opened third travel lane in the eastbound direction throughout the corridor. Installation of stone in raised median barrier. 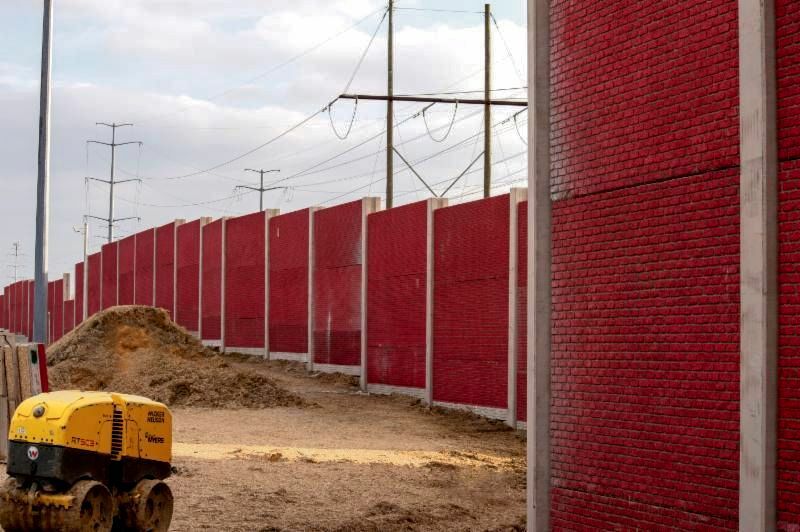 Installation of noise barrier wall. Paving of final surface layer on outside shoulder and left travel lane in both directions. Rehabilitation of existing bridge decks on all bridges. Continue maintenance work throughout corridor, including pothole and roadway repairs. Installation of ground-mounted signage and guardrail. Paving final surface layer on westbound travel lanes and shoulder. Conversion of stormwater management ponds and installation of bio-retention. Removing temporary construction signage and reduced speed limit signs. Opening the third travel lane throughout the corridor in the westbound direction. Placement of final surface layer on remaining travel lanes and shoulders westbound and eastbound throughout the project corridor. Final completion and cleanup at the bridges. Completed shifting all eastbound and westbound traffic to outside lanes. 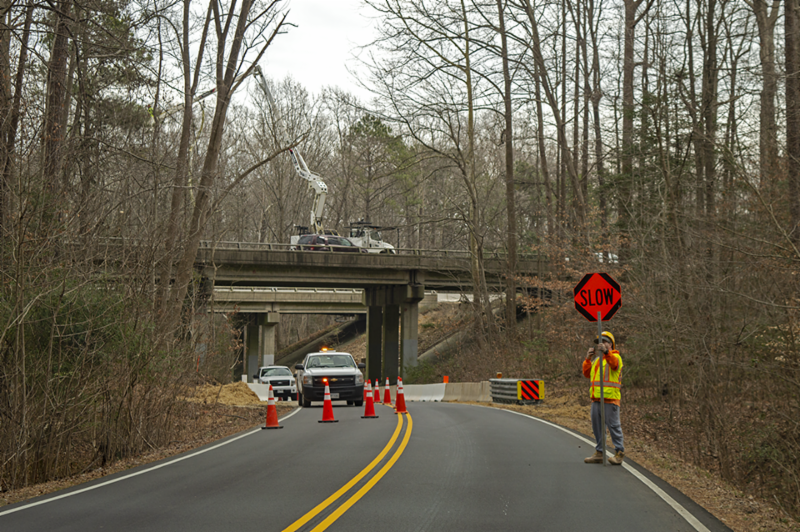 Installation of construction signage and temporary concrete barrier on Lakeshead Drive and Colonial Parkway. Continuing temporary drainage and earthwork in center median, as well as clearing and grubbing from near the Queens Creek bridges to the eastern Segment II project limits. Constructing causeway for Queens Creek access. 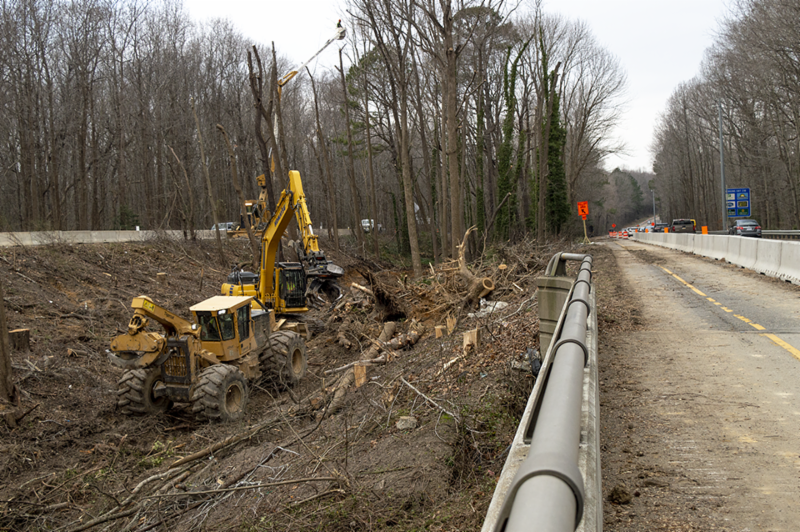 Preparing construction access for Lakeshead Drive and Colonial Parkway bridges from the I-64 median. Installing sediment traps in median, and continued installation and maintenance of erosion and sediment controls. Pile driving operations at Queens Creek and Lakeshead Drive bridges. Clearing and grubbing in the median. Earthwork and drainage in the median. Each week's scheduled lane and ramp closures can be found on the project website on the Traffic Alerts page. 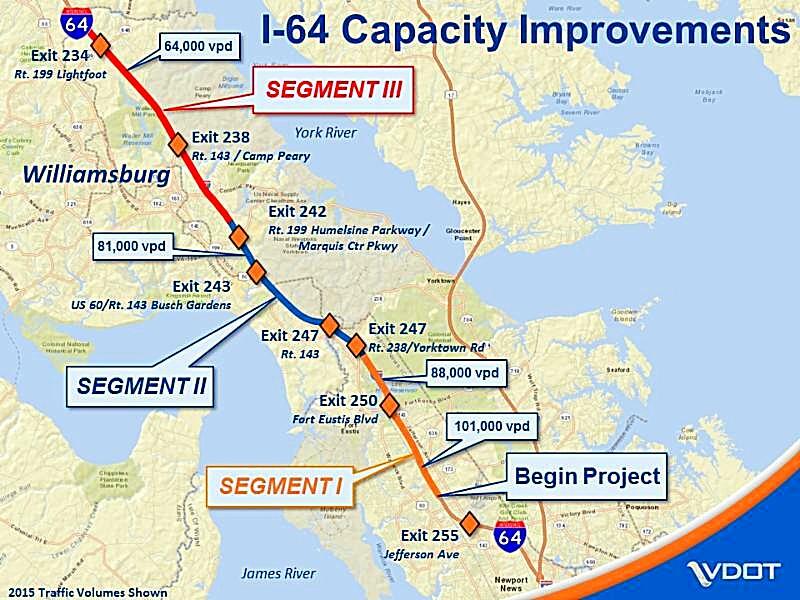 Avoid the backups and find alternate routes around the work zone by viewing the Alternate Routes Map now available on the I-64 Widening website. 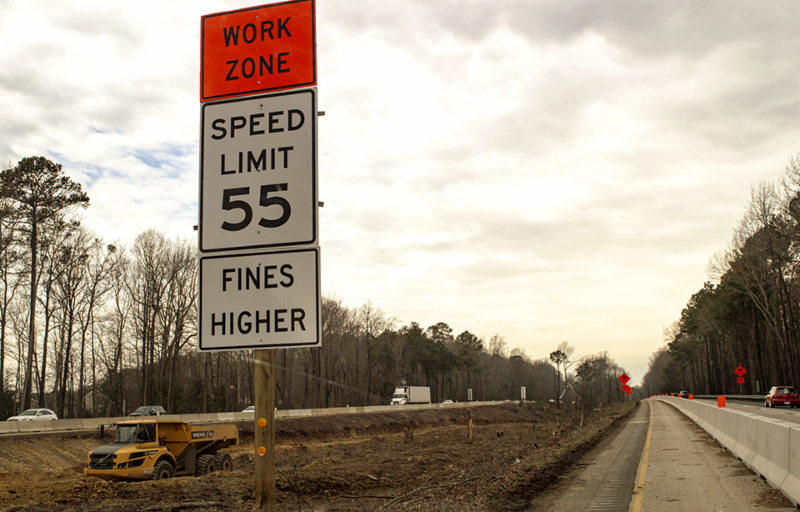 Please obey the reduced 55 mph speed limit which is in effect 24/7 in both the east- and westbound work zones of the project, between the eastern Segment II project limits near Yorktown Road (exit 247) and the western Segment III project limits near Route 199/Lightfoot (exit 234).